Atlanta (CNN) -- Dozens of Atlanta public school educators falsified standardized tests or failed to address such misconduct in their schools, Gov. Nathan Deal said Tuesday in unveiling the results of a state investigation that confirmed widespread cheating in the city schools dating as far back as 2001. Some of the cheating could result in criminal charges, Deal said. "I think the overall conclusion was that testing and results and targets being reached became more important than actual learning for children," Deal said. "And when reaching targets became the goal, it was a goal that was pursued with no excuses." Falsifying test results made the schools appear to be performing better than they really were. But in the process, students were deprived of critical remedial education and taxpayers were cheated, as well, Deal said. Investigators said 178 teachers and principals working at 44 schools were involved. The educators, including 38 principals, were either directly involved in erasing wrong answers on a key standardized test or they knew -- or should have known -- what was going on, according to Deal's office. Georgia Gov. 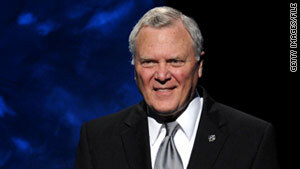 Nathan Deal on Tuesday unveiled the results of a probe into charges that educators falsified student tests. Deal's office said 82 of the educators acknowledged involvement, according to the report. Six principals declined to answer investigators' questions and invoked the Fifth Amendment right against self-incrimination, Deal said. Whether to bring criminal charges will be up to prosecutors, Deal said. Georgia State School Superintendent Dr. John Barge and Kathleen Mathers, executive director of the governor's Office of Student Achievement, released a joint statement Tuesday condemning "unethical behavior." "Some educators, including those in leadership positions, chose their own interests over helping students entrusted to their care," the statement said. "While this story has dominated the headlines over the last couple of years, it is important to remember that the vast majority of the educators in Georgia are ethically sound and work diligently with the best interests of their students in mind." The investigation's findings have been forwarded to the state teacher licensing board, Deal said. That agency could take disciplinary action against the educators involved. Atlanta Mayor Kasim Reed, who was briefed on the report, said the investigation "confirms our worst fears." "There is no doubt that systemic cheating occurred on a widespread basis in the school system," Reed said in a statement. "Further, there is no question that a complete failure of leadership in the Atlanta Public School system hurt thousands of children who were promoted to the next grade without meeting basic academic standards." The cheating was brought to light after marked improvements in the district's performance on the 2009 statewide Criterion-Referenced Competency test (CRCT) revealed a pattern of incorrect test answers being erased and replaced with correct answers. Investigators compared the results with test results from other Georgia schools and found that such patterns did not occur normally, Deal said. That the district's CRCT results fell in 2010 further confirmed the findings, according to the report. A spokesman for Atlanta Public Schools said district officials would have no immediate comment. The cheating accompanied a "culture of fear, intimidation and retaliation" within the district, according to a summary of the report released by Deal's office. The report also found a "major failure of leadership" within the district. Beverly Hall, who was superintendent of the district when the cheating scandal surfaced, has since resigned. Hall won accolades for the district's apparent successes during her tenure, and she was named superintendent of the year by the American Association of School Administrators in 2009. Neither Hall nor her attorney, Richard Deane, has seen or been briefed on the report, Deane said Tuesday. The full text of the report was not released. Deal said it was being withheld pending consultation with the state attorney general's office.